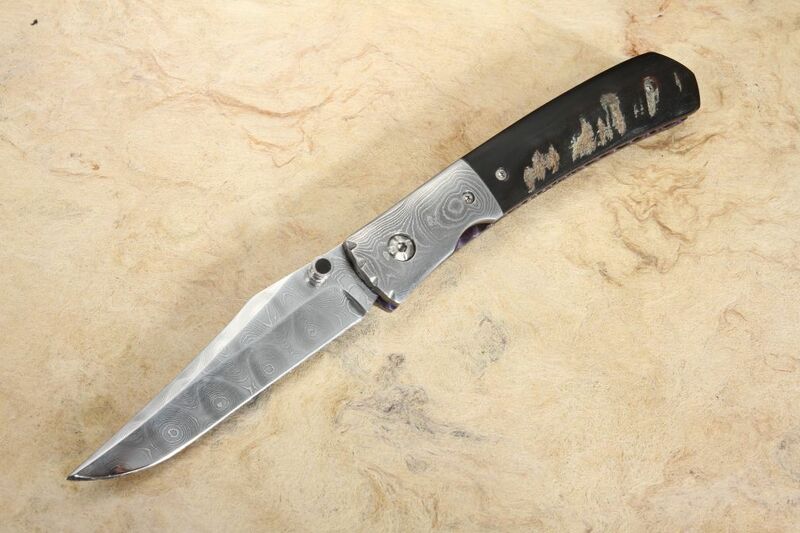 Elegant, full-size traditional gents Pardue style folder from Mel Pardue. Mel Pardue hand forged damascus blade and dovetailed bolsters. 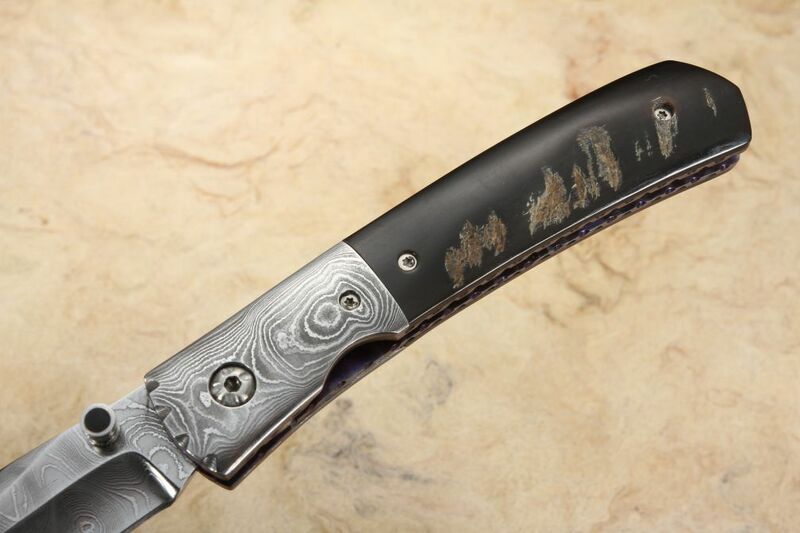 Excelent choice for someone that wants a dress damascus gents pocket knife. 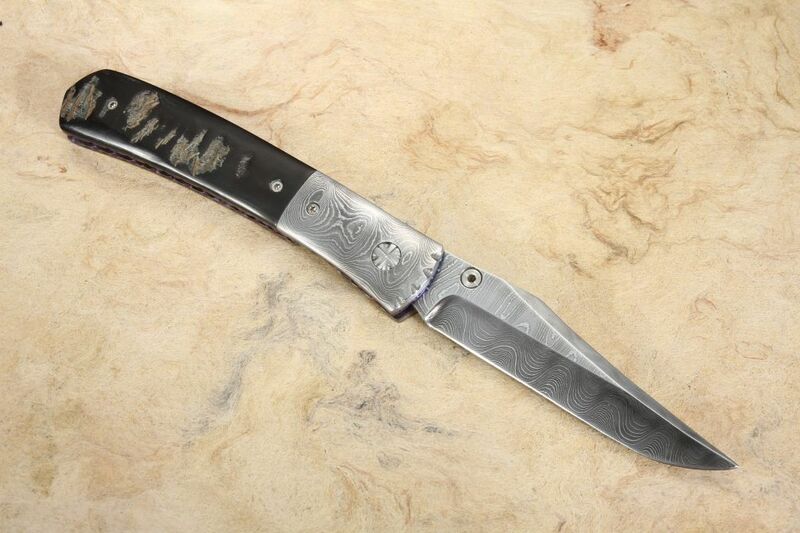 The colors in damascus match well with the buffalo horn handle scales. Solid liner lock design. Thumb stud for easy one hand opening and closing. Buffalo horn inlay in the thumb stud. 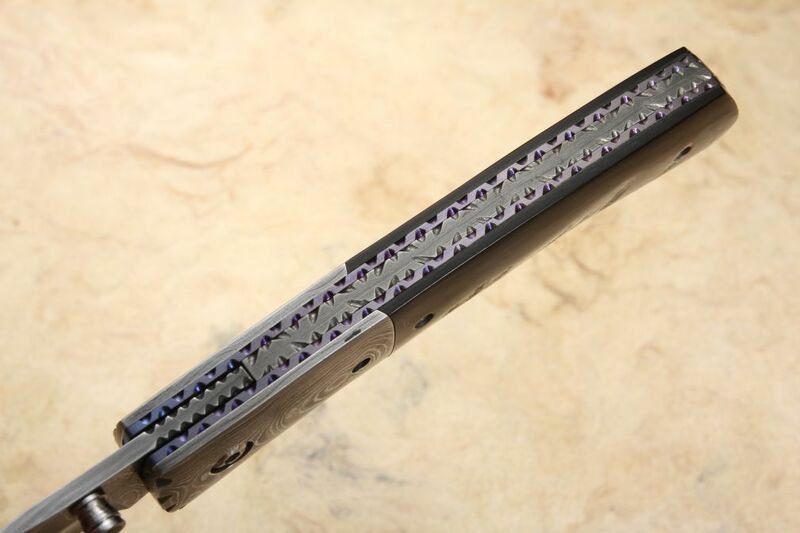 File work on the purple anodized titanium liners. 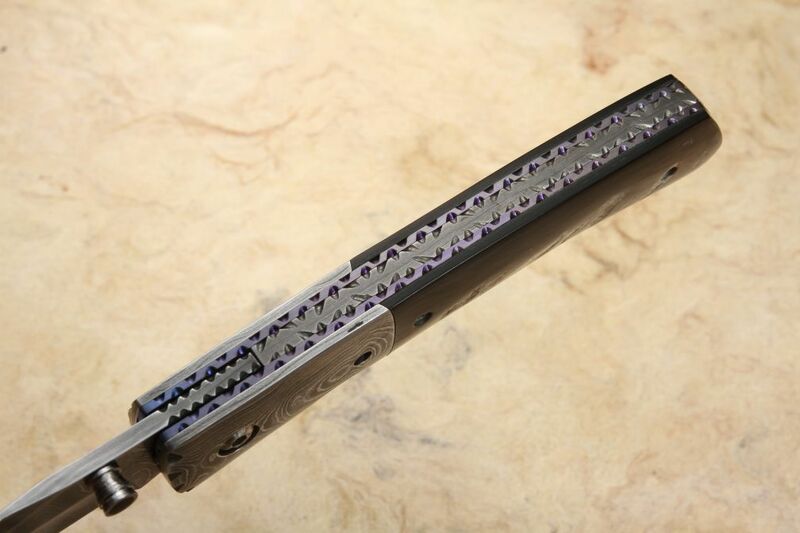 Full length damascus spacer has matching file work. This Mel Pardue damascus folder opens and closes extremely smooth.